I have 2 of these left in stock, already made and ready for shipment. I am trying to clean out my space to get ready for new inventory. So I thought I would see if anyone is interested in this one of a kind rucksack. Enjoy your sunday! 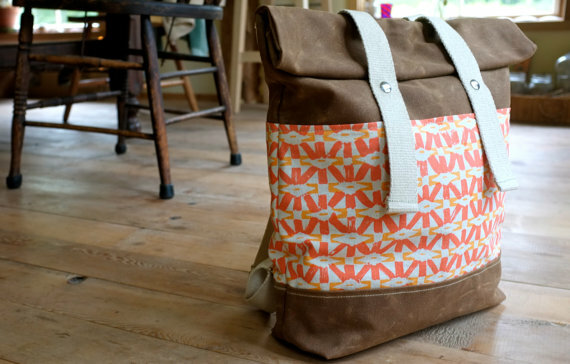 The perfect weather resistant rucksack. A simple and durable design. 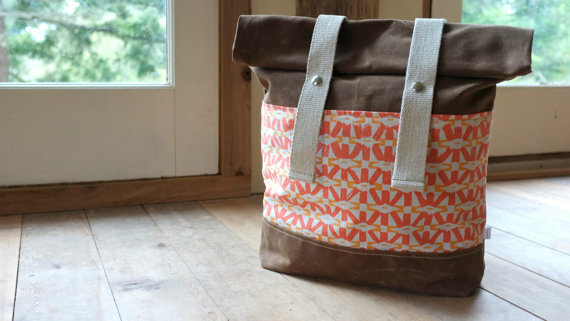 -Bright peachy orange handprinted fabric by Sara Parker on organic cotton/hemp fabric. 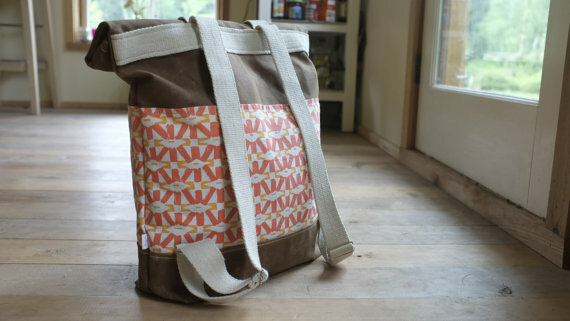 Height - 18" Unrolled - 24"
This bag is truly unique and would be a great bag for all your everyday needs! Only 2 left, ready for shipping.